This spell is used to open up arcane doors and to reveal hidden secrets, at least in works of fiction. Its etymology is uncertain, although it has plenty of theories. 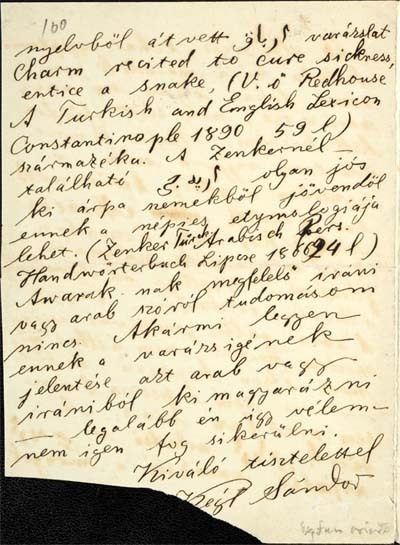 Their number was further increased with one by Sándor Kégl, whose surviving correspondence shows that due to his exceptional knowledge of languages, he was often consulted in Oriental etymological questions. 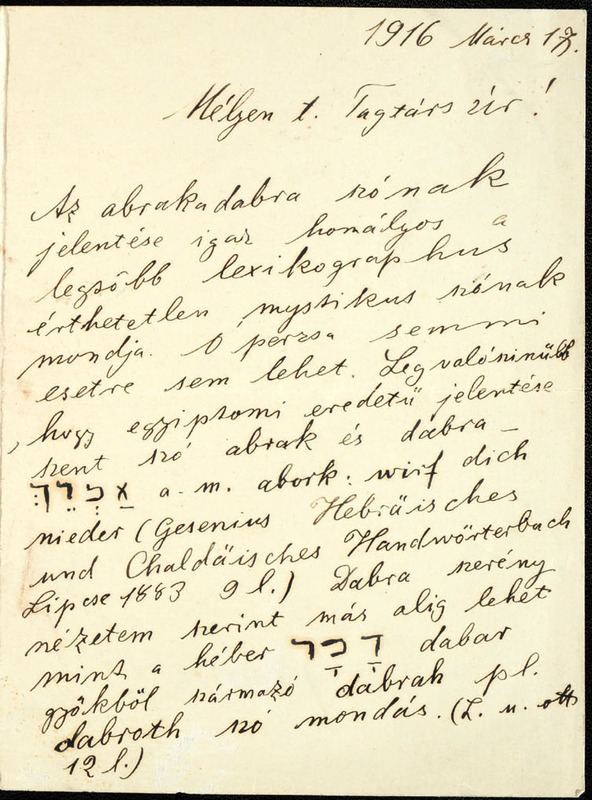 On 17 March 1916 he replied to an unknown academician in the following letter. Mongol loanword ارباق “charm, recited to cure sickness, entice a snake”, (cf. Redhouse A Turkish and English Lexicon Constantinople 1890 59 l). Zenker’s ارپه چی, the oracle telling the future from barley seeds might be a popular etymology for this word (Zenker Türck.-Arabisch-Pers. 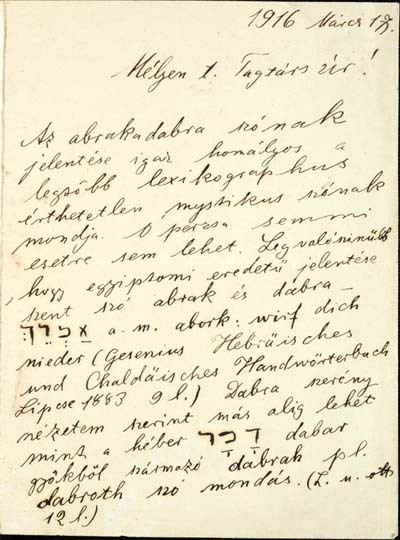 Handwörterbuch Leipzig 1866 p. 24). I have no knowledge of any Iranian or Arabic word ‘awarak’. Whatever be the meaning of this spell, it will not be successfully deduced from Arabic or Iranian, at least in my opinion. 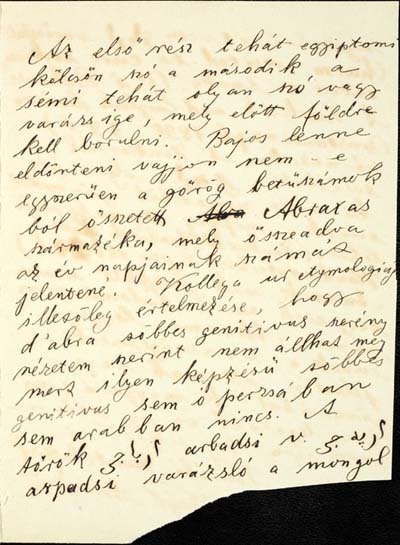 We also annonuce with this word the solemn opening of the site of the Kégl legacy preserved in the Oriental Collection next week, on 1 December, in the Library of the Hungarian Academy of Sciences. All the benevolent Readers are welcome. The poster and invitation of the event can be also downloaded in pdf. 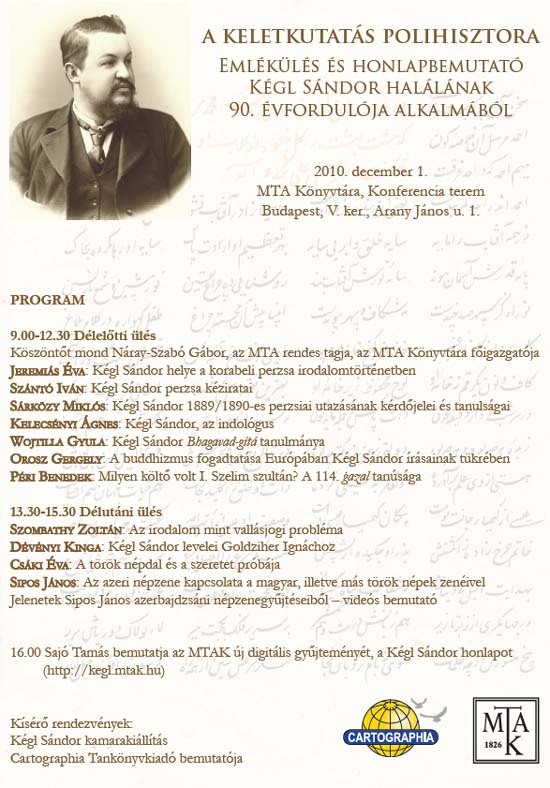 Move the mouse above the picture to read the program in English. And the site will be accessible after the presentation at kegl.mtak.hu. Congratulations, Studiolum! I was looking forward to checking out the final version http://kegl.mtak.hu but it did not open for some reason. Thank you, Araz! No, the site does not live yet. It will be opened only after the presentation on December 1. 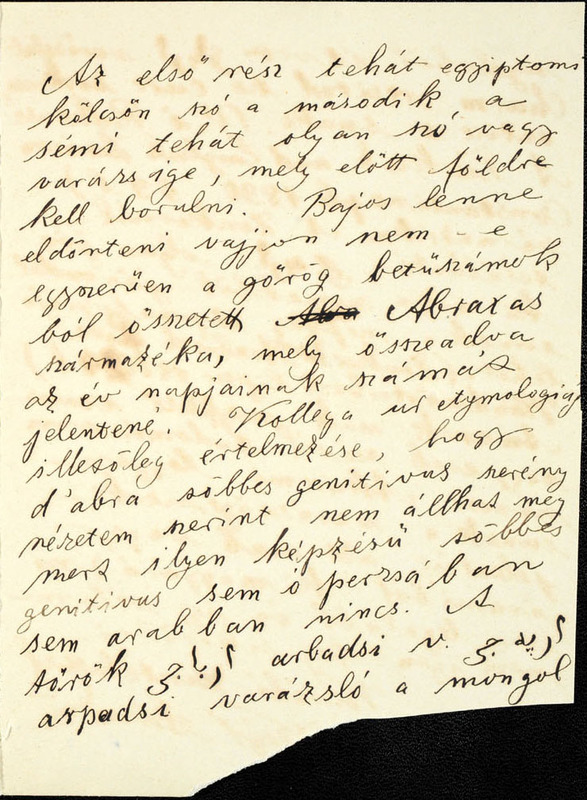 However, two pages of it can be already seen through the links included in the two posts on Kégl.